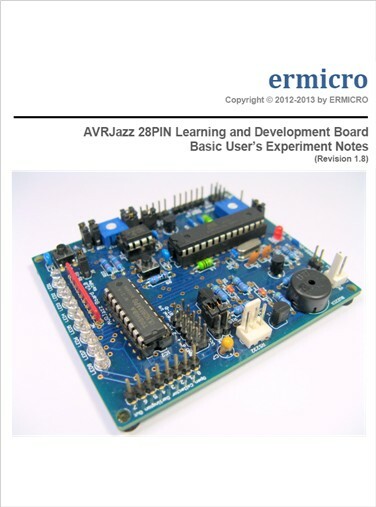 Are you looking for something fresh, update and simple explanation on the microcontrollers and electronics concept? Here at ermicroblog we always bake fresh new projects, tutorials, and ideas. Any sugestions and comments would be most welcome. Have a pleasure reading and hope you enjoy visiting ermicroblog. Monday May 11, 2009 by rwb, under Microcontroller. Tuesday April 21, 2009 by rwb, under Microcontroller. Monday March 23, 2009 by rwb, under Microcontroller. Sunday March 08, 2009 by rwb, under Microcontroller. Saturday February 28, 2009 by rwb, under Electronics. Tuesday February 17, 2009 by rwb, under Robotics. Wednesday February 04, 2009 by rwb, under Microcontroller.